When it comes to photographing babies, the most common question is – what is the best age? Just as every bubba is different, their “age of optimal cuteness” will also vary and depend on many factors, including you! Some new parents are desperate to capture their babe’s tiny, tiny fingers and toes and newborn squishiness for eternity, while for others, the prospect of preparing for a photo shoot in the first two weeks is a nightmare! Newborn photos are best taken 7-10 days after birth, while your little angel is still tiny and spends a lot of time sleeping. It can be time consuming, but moving a newborn baby around is quite easy as they still tend to mimic the curled up position as if they are still in the womb. As long as they are warm, this is also a great time to take some unclothed shots to capture their tininess and innocence – so crank the ducted heating and take your jumper off! As you would see from our photos, we prefer to keep our newborn shots quite natural therefore we don’t use a lot of props other than blankets and personal items in your home. Babies are cute enough without being put in flower pots! 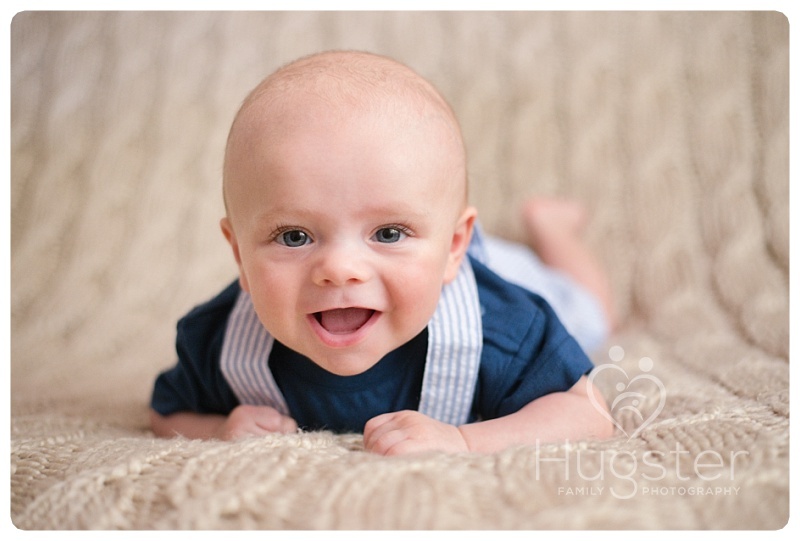 You might be a bit worn out at this stage, so we’ll understand if you just want us to photograph your baby on his own. But we would recommend you at least get yourself photo-readyin case you change your mind on the day and want to get some whole family photos. If you like the idea of a newborn session, it’s a good idea to book in this session during your final trimester. Choose a date that is seven days after your due date, which can always be changed later. Then give your partner the job of contacting us a few days after the birth to share the good news and confirm the plan. Or if you end up going overdue, ask your partner to reschedule before the session date arrives. Newborn sessions later than 10 days are still possible, however after two weeks, most sleepy newborns suddenly wake up! They often become fidgety and restless so getting a placid, sleepy shot can become a struggle. Milk spots can also start to appear and six-week injections can cause all sorts of mood havoc in the days following. Approximately 8-10 weeks after birth, your baby will still be small but you’ll all be getting a bit more sleep, and his or her little personality will start to shine out of those now-wide-open eyes. You’ll notice your baby will spend more time staring at you and their surroundings since this is when they start to develop their interests and recognise affection. Most of these shots will be of the baby lying down (on both tummy and back) and also being held by Mum and Dad. This age is also a good time to include the brothers and sisters in the photo session. The first few weeks as a new big brother or sister can be tough, as they suddenly have to compete for your attention. But by around eight weeks big bro or sis will be more comfortable around the baby, and we can capture that sense of sibling pride. Eight-month-old bubbas are our favourite kind! At this age, your baby will be ridiculously cute and much more interactive; everything just starts to get more fun! At this age, they’re more likely to be sitting up and seeing the world from a new perspective, and maybe even crawling around. This is where you’ll see their enthusiasm for the world around them and it’s a good chance to capture smiles, laughs, cuddles, tickles and maybe even some first few teeth. Sibling photos at this age can be a lot more fun and interactive as well as the kids can sit next to each other and probably play with the same toys. 4. Any time after that! For the first few years, it’s really important to carefully pick a session time when your child is likely to be well-rested, well-fed and happy. Babies develop at different paces and speeds, and a parent’s familiarity with their activities will totally help for the session to work out smoothly. It can be a good idea to coincide a photo shoot with a special family event or milestone like a first birthday – but just not on the actual day, you’ll have enough going on! Babies are usually just starting to take their first tentative steps at this stage, which is adorable to watch. 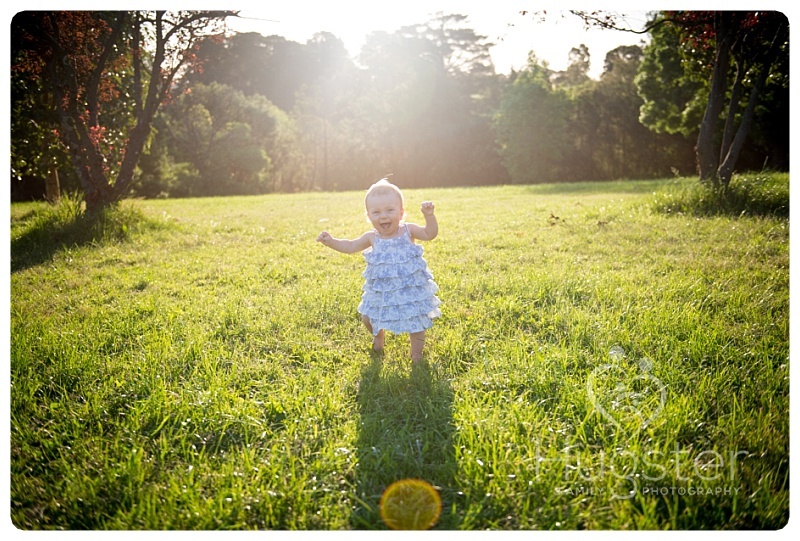 A lot of our clients choose to do all of the above, and create a series of images that encapsulates the entire first year of their babies life. But that’s an entire other blog post! Is your baby is at a particularly cute stage? Let’s book a session and get those smiley faces up on your walls to enjoy forever.